Placing bags of crushed coral in the filter. The aquarium pH is key to a functioning healthy environment. Different species of fish thrive in different ranges of pH. Cichlids, marine fish and growing spirulina need higher pH to function and remain healthy. Sometimes tap water is not at the appropriate pH level required for keeping these fish. Many hobbyists immediately jump to use commercial additives, however these more often than not have a short term effect. When you increase aquarium pH naturally you will be able to keep it at this level permanently. 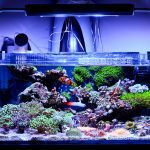 Higher pH aquariums should ideally aim for a pH in the range of 8-8.3. You may also find that some store purchased fish adapt readily to different pH ranges. Changes to pH can be very stressful for your fish. 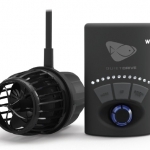 If your fish have already acclimatised to the softer water conditions it is better to leave them stable than change them again. However, if you are purchasing fish, you should ask the store for their water pH so you can match it in your tank before purchase. 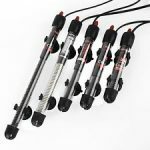 If you were looking to naturally lower your pH for a planted or soft water aquarium check out this guide here. Over time you may notice the pH decrease due to unconsumed fish food, excessive amounts of limestone and organic decaying matter. Thus, constant inspection is necessary to ensure your aquarium has the correct pH. Aragonite substrates originate from the ocean and include high levels of calcium and minerals. Once added to the water the aragonite, which is composed of Calcium Carbonate (CaCO3) will naturally buffer the water to a higher pH. This also helps to reduce the likelihood of pH swings. When undergoing water changes it is unlikely the pH will change significantly even if the tap water pH is much lower. Use a 1-2inch thick substrate of aragonite in the aquarium for the best effect. Aragonite can be used for both marine and freshwater aquariums. If keeping cichlids there is a great article here that discusses cichlid substrate brands. Crushed coral is very similar to aragonite. It is usually purchased as course, white pieces in 10-50 lb. bags. Use a non-dyed stocking or mesh bag and fill it with a fist size bunch of crushed coral. 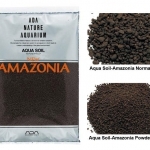 It is recommended to use at least 1 bag for a small aquarium and 3+ for larger aquariums. Tie the stockings with an inert wire or rope. If the pH becomes too high you can remove one of the bags. The bags can also be placed in the corner of the aquarium out of site. The crushed coral should be replaced every 6 months as it will quickly break down when placed inside the filter. Bleached (white and dead) coral can also be used as ornaments in the aquarium. Ensure to rinse the coral before adding it to the aquarium. If the coral has an odour it has not completely cured and it is not recommended to add it to your tank. No crushed coral? No problems! This calcareous rock is also very high in calcium carbonate. It’s readily available, making it easy to source and very cheap to purchase. As above, you can place stockings with fist sizes amounts of limestone chips in the aquarium or filter. Alternative place larger limestone rocks in the aquarium.